Staff Engineer iOS (Swift) Developer: Impact Lives Through Technology! Working in our shared engineering tribe, you will work as an iOS specialist, being an amplifier for mobile development across the company. SafetyCulture is on a mission to deliver a world-class inspections experience for both our web and mobile apps through iAuditor - we need you to ensure we are providing the best mobile experience to our customers. You will provide strong technical knowledge and insight into iOS development using Swift, C++ as well as a small amount of Objective C. You will coach and mentor engineers towards an outcome that will contribute to the overall customer problem they are trying to solve. We work in an agile environment in cross-functional teams who ship high-quality code daily. Because we are solving a really challenging and important problem. The problem of safety and quality assurance is universal, as a result, we have customers across multiple industries who we partner with every day to help them solve these challenges. As an engineer, working on a product where you get to see the end result is rare but at SafetyCulture this is the reality. If you're driven by solving a challenging problem at scale, then this might be the right opportunity for you. Our values make our culture, so bringing these to life in your everyday work is super important. Check out all the cool videos and links we have on our page and find out more about us! You have excellent problem solving, critical thinking, and communication skills. At SafetyCulture, we have created a SaaS solution that empowers teams and individuals across the globe achieve safer higher quality and more efficient workplaces. Through technology and culture we're re-defining an entire industry across every vertical. We are tackling a seriously big problem and having the best time doing it. Today we have 310 mission obsessed people that are using data points to collect crucial customer insights to help to bring to life the problem at hand. This is what we are currently known for, but certainly not all we are working on. We’ve taken a deeper dive into the realms of IoT and machine learning to lead the way to our next journey. With our $440 million valuation, we’ve had the opportunity to grow 5x over 15 months across our offices globally - Manchester, Kansas City and Manila". We have relocated people from across the world to join us in Sydney and Townsville, each person bringing their own flavour to our diverse teams and partnering with us on this awesome, yet challenging journey. If you think you’ve got what it takes to be a part of the SafetyCulture team, apply today and find out why we are so passionate about what we do. Data Engineer - Start impacting lives through technology today! 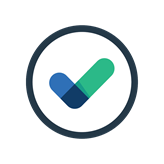 Want to get notified about new jobs at SafetyCulture?